a duty to provide meaningful information to the public regarding the logic the Home Office automated system will apply. We have further concerns regarding the categories of benefit which contribute to the check, the timing of when the system communicates how many years the checks accept are covered by the applicant, and regarding avoiding data matching errors. ILPA emphasises the importance of proper oversight, safeguards and transparency when dealing with vulnerable populations and complex decisions. A wrong decision based in part or in whole on an automated system, in the field of immigration, may result in family separation or unlawful deportation. The EU Settlement Scheme (“the scheme”) is the application route through which EU nationals must apply for settled status post-Brexit. All EU nationals will have to apply through the scheme in order to remain in the UK after 30 June 2021, in the case of a deal, or 31 December 2020 in the case of no deal, unless they have British citizenship or indefinite leave to remain. Those with permanent residence, or any other immigration status, or no status, will have to apply for settled status under the scheme. It is anticipated that over three million people will apply through the scheme. To gain settled status, EU nationals will typically, though not universally, be required to have lived in the UK for at least five years. However, they will not have necessarily kept documentation for all that time, because they would not have needed it for the purposes of residence prior to Brexit. Their situation can be contrasted with a non-EU national, who will have known from the start of their time in the UK that they would have to keep watertight evidence of their residence in order to gain indefinite leave to remain. The applicant has completed a continuous qualifying period of five years in any (or any combination) of those categories. As such, to help EU nationals prove their status in the UK, HMRC and DWP will provide certain categories of data which they hold on the applicant to the Home Office. This data will be analysed by an automated process which will declare a pass/fail/partial pass result to the Home Office caseworker. If the applicant passes the data checks, they will be deemed to have satisfied the residence requirement for settled status. If the applicant does not pass, they will be invited to provide documentary evidence to convince the Home Office caseworker that they have satisfied the residence requirement. If they cannot do so, they will generally receive pre-settled status and must wait to apply again for settled status. The publicly available documents on the scheme are light on detail regarding how the checks will work. However, HM Revenue and Customs has released the Memorandum of Understanding between them and the Home Office. This confirms that the Home Office receive a set of data from HMRC, to which they apply their ‘business logic’ – the details of which no public information has been provided. The business logic results in an output to the Home Office caseworker of pass/fail/partial pass. The raw data gets deleted and is therefore not retained. Nonetheless, some data may be retained by the Home Office, although at this point it has not been made clear what data would be retained. Page 10 of the Memorandum of Understanding confirms that “all the information transferred by HMRC should be relevant, necessary and proportionate to enable Home Office to carry out their task or process”. Similarly, it states that the Home Office will only hold the data in line with its approved retention policy and that the Home Office will be the controller of data provided to the Home Office by HMRC (p.9). The Home Office and the DWP have refused to provide the equivalent Memorandum of Understanding between the two departments. The headline question is what happens when an individual fails the checks. If the Home Office does not retain either the raw data or how the business logic applied to the raw data, then upon deletion of the data it becomes opaque how the system reached its decision. In such a situation, if an applicant asks for a statement of reasons as to why they failed the checks, the Home Office would not be able to provide an answer. is the Home Office under a legal duty to provide reasons when the system does not provide a ‘pass’ result? is the Home Office caseworker required to exercise meaningful oversight of the checks? is the Home Office under a legal duty to provide the business logic of the system? ILPA seek to demonstrate the legal basis for what we are seeking from the Home Office: reasons to be given for when the system does not produce a ‘pass’ result; proper checks into whether an error occurred in the checks if they do not produce a ‘pass’ result; and provision of meaningful information by the Home Office to the public regarding the business logic of the system. In short, our argument is that there is a duty to give reasons in order to avoid the possibility that a decision on settled status which is vulnerable to judicial review may be made without the opportunity to challenge it. The categories of error concerned include relying on a material fact that is inaccurate, making an irrational decision, or unlawfully delegating their decision-making to an automated system without proper oversight of errors made by that system. First it is necessary to establish what decision any reason-giving duty would pertain to. For the purposes of the settled status scheme, the relevant decision would be whether to grant or refuse settled status, as this is what would be appealed or judicially reviewed. The common law has now moved to a position whereby reasons should be given unless there is a proper justification for not doing so: Oakley v South Cambridgeshire DC  EWCA Civ 71 [paragraph 30]. apart from cases where fairness requires it, or a particular decision is aberrant, the duty has also been imposed where the failure to give reasons may frustrate a right of appeal, because without reasons a party will not know whether there is an appealable ground or not. One objection must be dealt with first. It may be objected that the data checks are merely a kindness by the Home Office which may in some cases remove the need to provide documents. This argument would suggest that since a fail or partial pass does not result in a negative decision but rather a request to provide further documentation, they are not integral to the decision-making process. So the logic runs, the decision is taken after the applicant has been provided with an opportunity to provide documentation to cover the relevant dates. This would have occurred even if there were no checks. As such, the argument runs that there is insufficient connection between the checks and the decision, and so there need be no reason-giving duty relating to the checks. 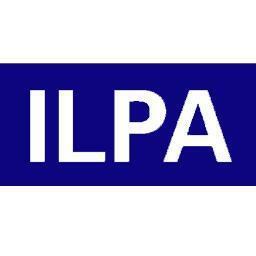 ILPA’s position is that the data checks are integral to the decision-making process. Firstly, the fact that the data checks are mandatory rather than optional suggests that the checks are more than an ‘added extra’. Secondly, the advantages of this view are clear in the case of vulnerable individuals who do not have documents or whose documents are with their abusers. Such applicants will not be assisted by an invitation to provide further documents. If these applicants fail the automated checks, they will fail to obtain settled status. If the system throws up a false negative because of a data matching error, or any other error that would render the decision of the system irrational, then the applicant will require an explanation from the system in order to be able to challenge the overall decision. In other words, they must know why the system arrived at its conclusions to determine whether it did so for good reasons or because of arbitrary errors. So, if the objection were correct, then vulnerable individuals would be subject to decisions, effectively by solely automated means, without the possibility of challenging them. This does not solely apply to vulnerable individuals. Consider the case of an applicant who fails the data checks because of an error (e.g. the data wrongly showed three years not five), and cannot provide documents covering the rest of the period. The refusal letter is likely to state that the data checks showed that the applicant satisfied three years’ residence, and the applicant could not provide documents for the other two years. That is to say, the caseworker would be unlikely to investigate whether there was an error but merely to rely upon the result as true. ILPA suggests that such a decision letter would be successfully judicially reviewed as relying on a material fact that was inaccurate.1 Reasons would be especially necessary in order to give applicants the opportunity to know whether the decision-maker did indeed rely on a material inaccurate fact. If we have two vulnerable individuals, each with materially identical HMRC and DWP records, a data matching or other error would result in the two effectively indistinguishable applicants being subject to opposite decisions without basis in law or logic. The Home Office, in ILPA’s view, has the legal duty to provide the individual who receives the negative decision from the caseworker with reasons why they failed the automated data checks. The reasons should refer to the material available to the Home Office business logic and how the business logic applied in the applicant’s case. Such reasons would be necessary because otherwise the applicant would not be able to effectively challenge the adverse decision, for example on irrationality grounds. It will not suffice to merely recite a general formula or restate a statutorily-prescribed conclusion. R. v Birmingham City Council Ex p. B  E.L.R. 305 at 311. The reasons must generally state the decision-maker’s material findings of fact, and their evidential support where there is dispute: see De Smith’s Judicial Review (8th edition, Sweet and Maxwell 2018) para 7.105. Therefore, in ILPA’s view the answer to question (1), whether the Home Office is under a legal duty to provide reasons for the outputs of the automated data checks, is that there is such a reason-giving duty. The analysis under Approach 3 above has a secondary result: if the Home Office caseworker fails to exercise proper supervisory control over the data checking algorithm, this is likely to constitute unlawful delegation of powers. Therefore ILPA asks the Home Office to provide a mandatory step in the decision-making process where, if the applicant challenges the decision not to award settled status, the caseworker conducts a check of whether the system encountered an error. This step would occur immediately before the applicant is informed how many years’ residence is satisfied according to the data checks. The framework ILPA suggests for letting the applicant know what checks occurred, would be for the caseworker to answer: (1) what steps did the caseworker take to verify the result; (2) what did the caseworker find; and (3) how did the caseworker apply what they found to the decision to ask for further documentation. ILPA’s position is that the Home Office, in accordance with standards running through the GDPR, must at the very least provide meaningful information relating to its business logic, to enable all applicants to understand exactly how that logic will apply in their case. ILPA accepts that there is no legal duty on the Home Office to provide the business logic itself. Nonetheless ILPA takes the view that providing the business logic itself alongside an explanation would allow proper public scrutiny of the logic, so that it can be improved as quickly as possible. Additionally, doing so would be in accordance with the principle of open government. The duty under Article 5(1)(a) GDPR to process data in a transparent manner ought to inform the approach of the Home Office to what information about the business logic it should provide. Providing meaningful information about the business logic, and the business logic itself, would further be consistent with the principle of accountability running through the GDPR and in particular Article 5(1)(b): see page 29 of the Article 29 Working Party Guidelines on automated individual decision-making and profiling for the purposes of Regulation 2016/679. ILPA accepts that there is no cast-iron legal duty for the Home Office to provide its business logic in the present circumstances. Nevertheless, as explained above, there will be numerous situations where the automated decision is determinative of the overall result of an application. Such cases, in ILPA’s view, are analogous to solely automated decisions. It is therefore instructive to consider GDPR standards relating to such decisions. The paragraph above has been included in this piece for emphasis, since the data checks do not form part of a solely automated decision. As such, this provision does not apply squarely to the present context. Rather, it is illustrative of what is required in the context of solely automated decisions. The guidance relating to solely automated decisions supports the principle of transparency, which runs through the GDPR: individuals must know what their data are used for. For a Government scheme of this importance, where part of the decision is automated, which contains a picture of what an individual has done in the past five years, including their tax and benefit records, it is crucial that the Home Office is as transparent as possible. The controller should find simple ways to tell the data subject about the rationale behind, or the criteria relied on in reaching the decision. 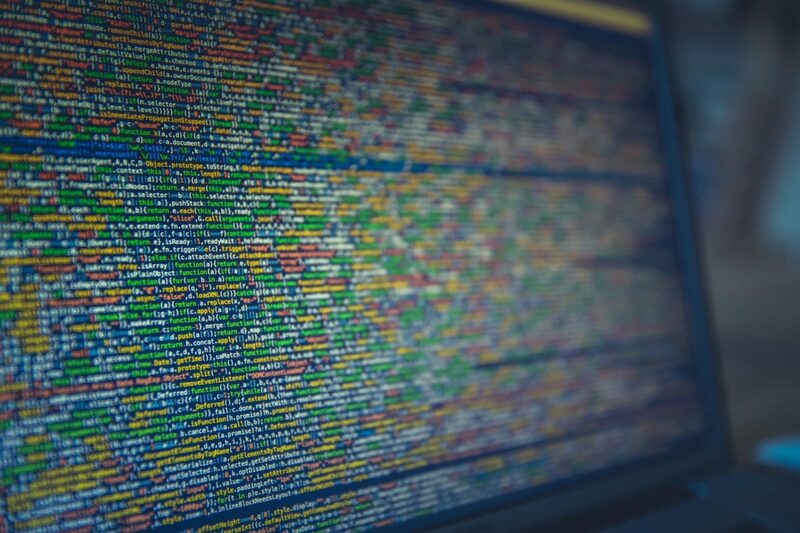 The GDPR requires the controller to provide meaningful information about the logic involved, not necessarily a complex explanation of the algorithms used or disclosure of the full algorithm. The information provided should, however, be sufficiently comprehensive for the data subject to understand the reasons for the decision. Consequently, ILPA calls on the Home Office to provide either their business logic itself, or at the very least meaningful information relating to the business logic. Immigration lawyers want to advise their clients on what the likely outcome of the automated data checks will be. They cannot do so if the logic that the Home Office will apply is not made public. Similarly, applicants ought to be able to understand how the business logic will apply in their case, particularly those where the result is determinative of their application for settled status. 1. Working tax credit, child tax credit and child benefit records are held by HMRC, not DWP. However, these records do not appear on the list of categories of information that is shared with the Home Office by HMRC. ILPA is concerned that the automated data checks will fail people who would have passed if such information were available to the Home Office. ILPA urges the Home Office to request that data from working tax credit, child tax credit and child benefit be provided to the Home Office by HMRC. This would enable the picture of an applicant’s benefit record to be as accurate and relevant as possible: these being core principles of the GDPR, outlined in GDPR Article 5(1)(c) and (d). 2. As it currently stands, if an applicant does not pass the data checks in an application for settled status, the message they receive on the website states that the Home Office considers that they should receive pre-settled status, and asks them whether they wish to challenge that. However, it does not state how many years’ residence, covering which years, the checks concluded they have, unless they click on the ‘challenge’ button (at no extra cost). This information is extremely useful to all applicants because it allows them to know the date after which the system is likely to conclude that they have sufficient residence for the purposes of settled status. In other words, there is an incentive for applicants who do not believe that they satisfy the settled status requirements to apply for settled status, then challenge the refusal. This would allow them to know in what year the data checks will likely conclude that they pass the residence requirement for settled status. The current system would be much simpler, more transparent, and more helpful to applicants if the outcome of the data checks told applicants initially exactly which years the checks accepted were covered, and which not. This would save time and money for all concerned. Additionally, doing so would remove the likelihood that applicants will challenge decisions with which they agree, in order to obtain the dates for which the Home Office have data. Furthermore, legal advisers should not be put in a position where their duty to obtain the best outcome for clients requires them to advise clients to apply for a status which both lawyer and client know that the client is not entitled to. 3. DWP data quality is low, with the result that data matching is inconsistent unless an address is provided to the DWP’s Customer Information System.3 Therefore unless the Home Office share address details with DWP, the level of data matching errors is likely to be needlessly high. ILPA wishes to ask the Home Office whether address details can be shared with DWP in order to reduce the likelihood of data matching errors in the settled status scheme. Now read: “Computer says no”: facing up to the full implications of a digitised immigration system.